Located at the heart of Palm Beach County, the City of Lake Worth makes up part of the Miami-Fort Lauderdale–Pompano Beach metropolitan area with 37,000 residents. Its dynamic multi-culturalism and strong social and environmental consciousness have distinguished the city as an independent community that combines Florida’s rich heritage with a contemporary flair. Fondly known as the place “where the tropics begin,” Lake Worth is committed to providing enjoyable activities for residents and visitors alike. Break from the hustle of Miami and Fort Lauderdale to discover the place where fun never ends. While Lake Worth’s beginnings can be traced to the Native American Jaega tribe, the city’s first settlers were Samuel and Fannie James, who made a land claim of 187 acres under the Homestead Act in 1885. Over the next few decades, as Henry Flager’s rail line extended from West Palm Beach to Miami, Lake Worth’s population rose as agricultural lots were sold west of the town, and the city adopted the name “Lake Worth” for the lake the city was sited. By 1911, the city library, schoolhouse, newspaper, Women’s Club, Chamber of Commerce, and first church were established, and the census taken at the end of the year reported 308 residents. To accommodate the city’s fast growth, a new addition was platted along 5th Avenue South to 15th Avenue South and bore the name “Addition 1,” which stands today. The City of Lake Worth was incorporated in 1913, and experienced significant growth as farmers took advantage of the state’s winter vegetable market. Moreover, Lake Worth blossomed under the Florida land boom during the 1920s, which saw the development of a traffic bridge, casino, beach complex, and the Gulf Stream Hotel—a historic landmark. A hurricane severely damaged the city in 1928 that led to significant economic decline. President Franklin D. Roosevelt attempted to revitalize the city by building the city’s present-day City Hall. Following World War II, Lake Worth experienced an influx of immigrants from Quebec, Finland, and Germany, who built many of the city’s beer halls and Lutheran churches. Among the assortment of native customs, restaurants, and shops that were introduced in the city, residents and visitors can find an abundance of chocolatiers and Bavarian delicatessens. Today, Lake Worth experiences a resurgence of its rich eclecticism, hosting an assortment of art galleries, sidewalk cafes, and lively entertainment venues. The City of Lake Worth is bordered by some of Florida’s most beautiful natural water sources, including Lake Osborne, where residents and visitors can enjoy an array of watersports or walk on the city’s fishing pier. Friends and family can also travel downtown to experience the artistic capital of Palm Beach County, which boasts the Lake Worth Historical Museum, Lake Worth Playhouse, Duncan Theater, as well as live music, clubs, antique shopping boutiques, and several dining options. Residents and visitors can break from their city excursions to visit the Botanical Garden of Palm Beach County, or enjoy a relaxing bonfire on Lake Worth’s beaches. Did you know… Robert Van Winkle, the American rapper and house flipper also known as Vanilla Ice, has lived in Lake Worth since 2010. The Texas Tower Sniper, Charles Whitman, was also born in Lake Worth. Need to get around? Catch a ride on the PalmTran bus service, or travel with the Lake Worth Tri-Rail station. The personal injury attorneys at the Shiner Law Group encourage residents and visitors to exercise caution when dining, shopping, or partaking in the many attractions through Florida’s cultural capital. Victims of personal injuries most commonly suffer back pain, knee pain, shoulder pain, joint pain, and concussion, and traumatic brain injury, all of which can lead to extensive medical treatment and rehabilitation, as well as long periods of disability or even a permanent inability to engage in gainful employment. In the event you or a loved have been wrongfully injured due to the carelessness or negligence of another, the seasoned personal injury attorneys at the Shiner Law Group are standing by to discuss your legal options in a free consultation. Don’t let your experience in one of Florida’s most beautiful cities be ruined by the ongoing stress of an insurance claim. Let us focus on the legal complexities so you can focus on recovery. Have you or someone you love been injured because of the negligent, reckless, or intentional conduct of another? Call us at (561) 777-7700 or contact us online for a free case review. 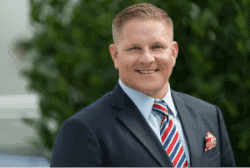 The Shiner Law Group represents personal injury and wrongful death victims in Melbourne, Jensen Beach, Jupiter, Hobe Sound, Tequesta, Indiantown, Boca Raton, Delray Beach, Boynton Beach, Lake Worth, West Palm Beach, and the surrounding cities.